In Denmark, the employees of the military pay the price when the politicians want to compensate for not spending enough money in the defense budget. One of the big topics of discussion in Denmark during the summer has been whether Denmark should increase the defense-budget to the promised two percent that we committed to in NATO back in 2014. The winning argument against being, that we contribute considerably to international missions together with our allies and that it therefore should not be necessary. “It’s not only about how much money is spent. It is also how you use them, and how willing and ready you are to contribute,” the Danish Prime Minister said during the debate, and that argument have since been used by the Defense Minister and other politicians, who thinks we should focus on the contribution rather than the money. The Danish military are great contributors, and the employees are ready whenever a situation occur that needs the assistance from the international forces. No one can say, that we do not do our part of in NATO. However, the politicians might have been a little too eager to show, that we in Denmark are both willing and ready to contribute, instead of paying the price agreed on for the commitment to NATO. The Danish military pays just about half a billion DKR in different types of overtime payment every year. That includes compensations for military exercises, guard duties and loss of free time when at sea. It has been like that for the last five years, and it is starting to take its toll on the employees in both the army, the navy and the air force. CS (the Central Union for Regulars) we often hear from members, who have problems living a normal everyday life because of the heavy workload. CS have calculated, that the money spent on overtime payments is enough for 1000 employees. That is a massive amount, when you take into consideration, that the Danish military in total employs 20.000 people. 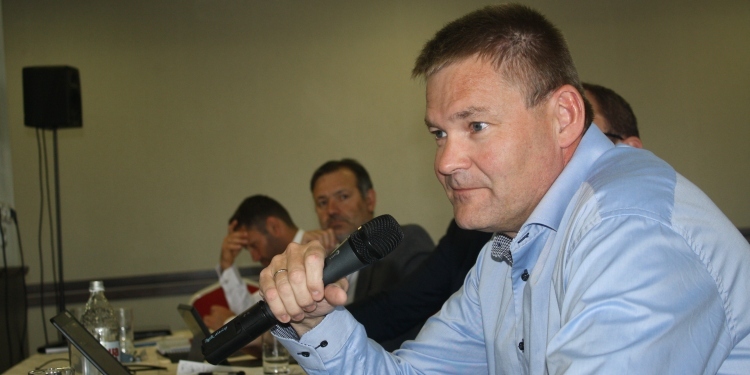 “When you pay half a billion in overtime payments every year and have done so for the last five years, it seems like conscious planning, and I see it as a sign that there are more tasks than resources,” says Jesper K. Hansen, the President of the Central Union for Regulars (CS). “The consequence of the heavy workload is that many employees start looking for a new career outside of the military. Especially now, where there are plenty of jobs in the civilian labour market in Denmark. It is a vicious cycle, where you end up losing more employees because more employees are already needed, and the Danish military simply cannot afford that. Recruitment and employee retention are one of the biggest challenges in the Danish military,” he adds. “It ought to be possible to find a middle ground, where you can solve important military assignments around the world while still being able to maintain a personal life with family and hobbies. If the Danish politicians really wants to make the Danish defense stronger, they must begin with the employees,” says Jesper K. Hansen. For more information, please contact CS.